Copyright law provides educators with a separate set of rights, in addition to fair use, to display (show) and perform (show or play) others' works in the physical classroom. These rights are in Section 110(1) of the Copyright Act and apply to any work, regardless of the medium. As a general matter, the posting of textual materials (e.g. journal articles, book chapters) for use by an online class is covered by fair use, and the four factors of fair use should be analyzed before posting such materials into your class site. As an alternative, the Libraries Course Reserves service is also available for use by online classes. The Course Reserves staff will manage the posting of your course materials to your course site review your requests for copyright compliance and secure permission from the copyright holder where necessary and feasible. The posting of media (e.g. 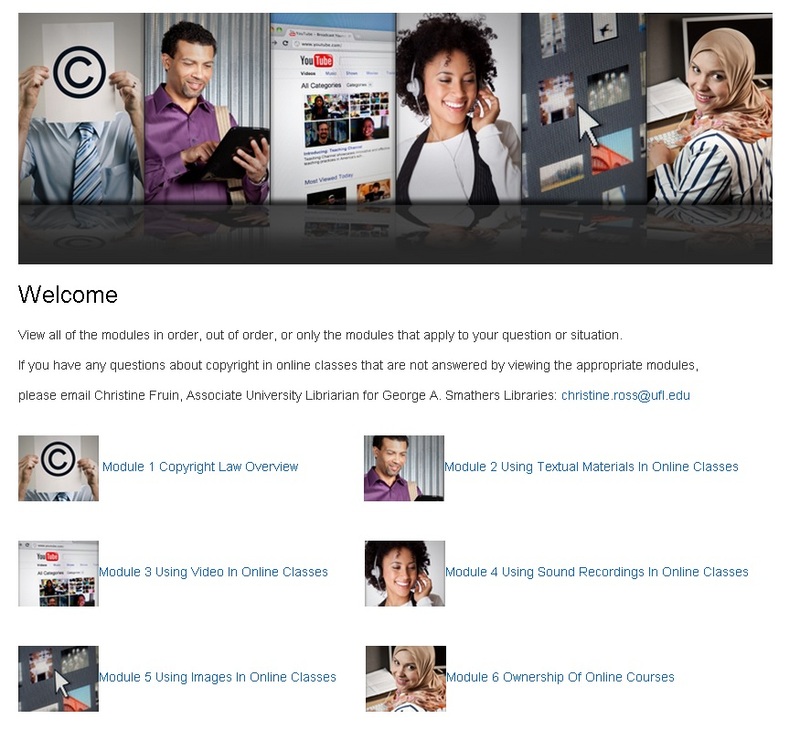 videos, sound recordings) in your online course is also covered by fair use. Instructors often wish to incorporate streaming video in their courses. Most commercially produced films and streaming video products are covered by a license agreement or other contract that govern their use and these terms must be complied with. For more on using video in online classrooms, see the Showing Video page on this guide. Official University policy on intellectual property issues. Explanation of University policy with respect to creation, editing, and ownership of online course materials. Great guide on the legal reuse and remixing of content when creating podcasts. By Creative Commons.